Aviation Updates Philippines - Largest low-cost carrier, Cebu Pacific Air, explained on what caused the flight delays, cancellations, and overbookings on Christmas Day. The delays were mostly due to the overbooking, low pressure area, and air traffic congestion which caused the delayed turn-around of the aircraft. Cebu Pacific Air Vice President for Corporate Affairs, Juan Lorenzo Tañada, said that apart from the high number of passengers heading to the provinces this Christmas season, the airline had to adjust flight schedules due to the cancellation of several flights because of bad weather. “Christmas Day was really a big, big deluge that we experienced, but we experienced a lot of consequential flight delays because of the air traffic congestion. There was inclement weather in some regions and this resulted to a lot of flights being cancelled,” Tañada told ANC in a report. 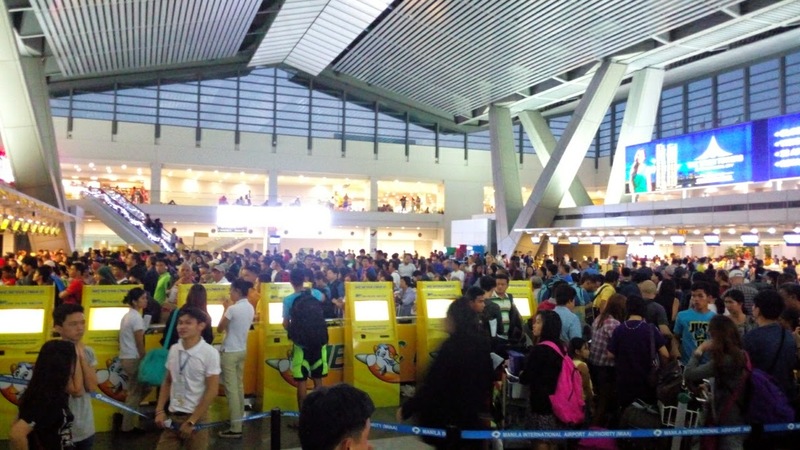 Delayed flights and the high number of passengers flying with Cebu Pacific led to long lines at the check-in counters which caused them to miss their flights. Some passengers were not allowed to board their flights due to overbooking. 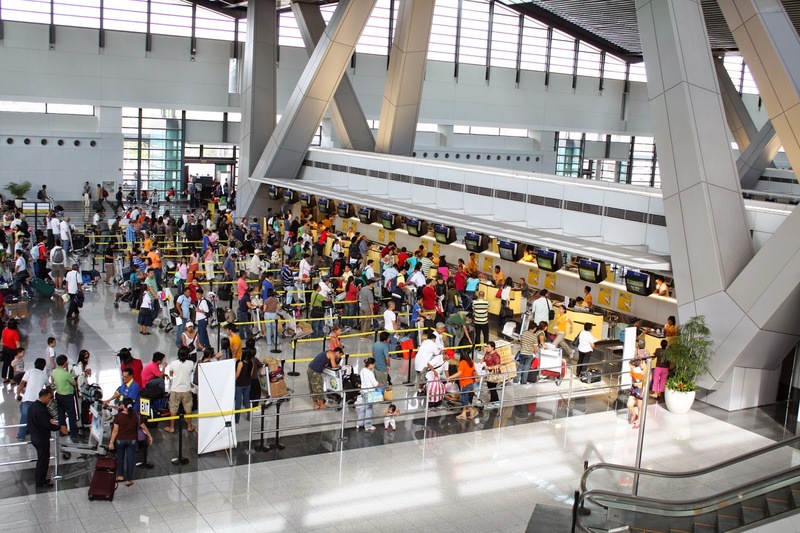 On December 25, Department of Transportation and Communications Secretary Joseph Emilio Abaya requested the Manila International Airport Authority to add more check-in counters to lessen the long lines at the airport. Cebu Pacific also has a last call counter for flights near departure time. "Secretary Abaya coordinated with aviation authorities and airlines yesterday to open more counters and deploy more personnel to assist passengers until the situation stabilizes," Department of Transportation and Communications Spokesperson, Michael Arthur Sagcal said. From the original 26 check-in counters, the authorities added 12 more check-in counters to stabilize the situation. However, it did not take effect as passengers are still in long queue. Some passengers sat on stools or even on the floor even if they arrive 5 hours earlier before their flight. Tañada also said that several flights from Manila to Puerto Princesa, Virac, and Tuguegarao were affected by bad weather, resulting to flight backlogs since December 23. He also cited the “sunset limitation” in some domestic airports as one of the reasons why flights were cancelled. “Some of our major tourist destinations such as Busuanga are unable to accept aircraft after sunset,” he said. Overbooking is an international aviation practice which compensates for the no-shows. However, airlines are only allowed to overbook a flight by 10 percent. When the flight is overbooked and everybody showed up, someone will be bumped off the plane and take the next flight. Overbooking may have caused the long queue in the airport, Tañada said. Tañada said that Cebu Pacific personnel manning check-in and booking counters at the airport were subjected to fatigue after having to work long hours for the holiday peak season. Some personnel were late or absent on Christmas day. “This resulted to some of them coming in late and some not coming at all on the 25th. Even the 26th, some were not able to make it on time or report at all,” he said. However, the airline immediately added more personnel to service their disappointed passengers. According to the Air Passenger Bill of Rights, passengers may rebook their flight or receive a full refund when their flight is cancelled. The airline could also transfer their passengers to another airline, in a case where the airline is at fault. "A fault attributable to airline would be the pilot did not appear or maybe the plane is not available... Under our rules, if the flight is cancelled and it is attributable to the fault of the airline, apart from the rebooking, the passenger is entitled to 100 percent value of the ticket on top of the new ticket," Civil Aeronautics Board Executive Director, Carmelo Arcilla told ANC. “Please try to go to the airport as early as possible and more than that, maybe we can take advantage also of other ways to check in, there are web check-in options and also check-ins via the kiosks available at the terminal. This will help alleviate any backlogs. We are assuring everyone that Cebu Pacific is doing all it can at this point to man our counters,” Tañada said. For passengers with delayed flights, they may avail their compensation when the delayed flight did not depart after 3 hours from the scheduled time of departure. But when the delay reaches 6 hours, the carrier should declare it as a cancelled flight. However, Cebu Pacific Air assured that passengers who missed their flights may rebook or receive a full refund within 30 days. According to the Department of Transportation and Communications Spokesperson, Michael Arthur Sagcal, the Civil Aeronautics Board, Manila International Airport Authority, and the Civil Aviation Authority of the Philippines are leading the investigation. Cebu Pacific's Tañada said that the carrier will fully cooperate with the government authorities to address their inquiries about the numerous flight cancellations. However, the carrier still did not receive any formal letters from the three aviation agencies. Flimsy, incompetent remarks by Cebu Pacific VP Tanada. They overbooked and failed to anticipate the problems that transpired. This is INCOMPETENCE to the hilt by the airline company charging the cheapest fare!! !